Veasna started working with PRCF in early 2013. 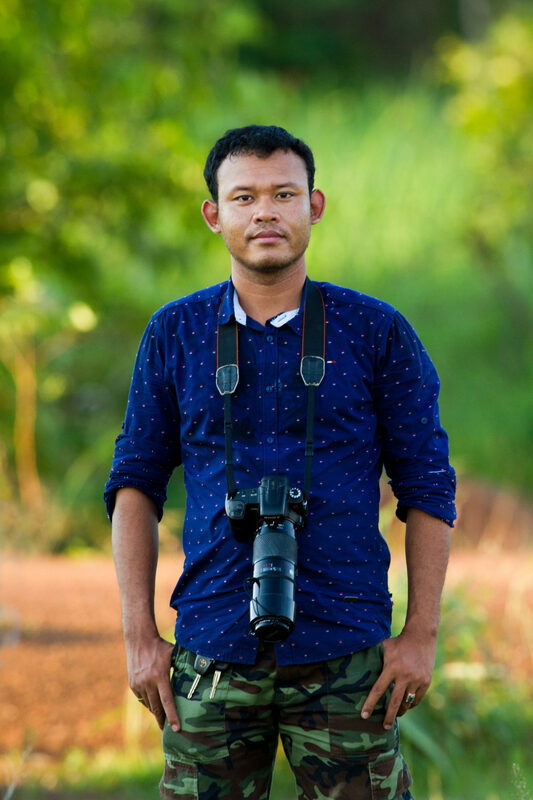 As Cambodia Field Coordinator, he works with local stakeholder communities and organizations to protect high value natural resources along the Srepok River and endangered species within the landscape of Lomphat Wildlife Sanctuary. Veasna has a bachelor’s in General Management and nearly 12 years of experience in supporting community protected areas, participatory land use planning and forestry, non-timber forest crafts, sustainable livelihoods and self-help groups. Veasna has a strong interest in bird conservation and photography. With more than twenty years of experience in conservation biology, and about ten years experience at the Lomphat Wildlife Sanctuary, Sam Oeun serves as the national liaison for PRCF conservation activities, particularly for internal zonation of the sanctuary, and management with community conservation areas. Sam Oeun oversees ranger training and biodiversity surveys with PRCF. Phearun is the current lead officer on Giant Ibis and White-shouldered Ibis conservation work at Lomphat Wildlife Sanctuary, a collaboration between PRCF and BirdLife International. Phearun holds a Master of Science in Biodiversity Conservation and has two years of experience supporting local livelihoods and seven years of experience with species conservation in north and north-eastern Cambodia.